I love how people have been inspired to make their own neural networks in their own way, sometimes using R or Julia programming langauages. 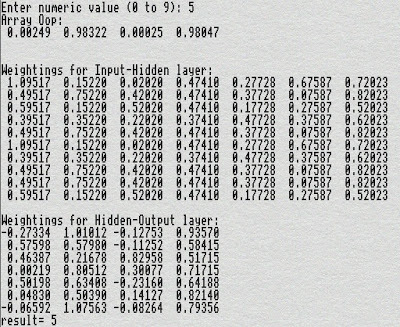 I was very pleasantly surprised that Robin had decided to make neural networks in Forth. Forth is an interesting langauge - you can read about it here, and here - it is a small, efficient and fast language, with applicatiosn often close to the metal. In the book, on page 160 code is provided for scorecard. Hi java_noob thanks for getting in touch.